At Big Oaks Apartment Homes, modern conveniences meet everyday comforts in a community of two and three bedroom apartments in Lakeland, FL. At our Lakeland apartments for rent you can count upon finding alternative options of designs including roomy floor plans, stunning amenities and a wonderful location. Say hello to beautifully designed, cable-ready apartment homes for rent in Lakeland, FL filled with helpful features such as full-size washer and dryer connections. Not only will you experience luxury inside your gorgeous designed apartment home, but also throughout the Big Oaks Apartments community. While staying in one of our apartments for rent in Lakeland, FL you can take advantage of a range of community features, from a sparkling pool and a fitness room to a playground and a theater room. Just steps from your door, you will find amenities such as a cyber cafe with a coffee station. Relax and enjoy the outdoors on your very own private patio while staying in one of our amazing apartments in Lakeland, FL. 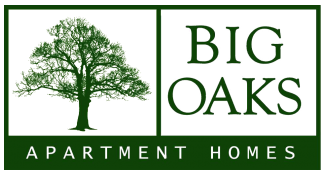 The Big Oaks Apartments stunning amenities, neighborly community and ideal location will be followed by our accommodating community staff to ensure your Lakeland apartments living experience is incomparable to any other. Discover your new apartment home by giving us a call or scheduling a tour at the Big Oaks apartments in Lakeland, FL.